FEELING AMPED? After getting the chance to play at Summerfest, local band The Third Ward just released their debut record Red & Blue, with powerful riffs and political statements. And now they’re looking to tour. For The Third Ward, whose name is of course taken from the eponymous EC neighborhood, it felt like a turning point. 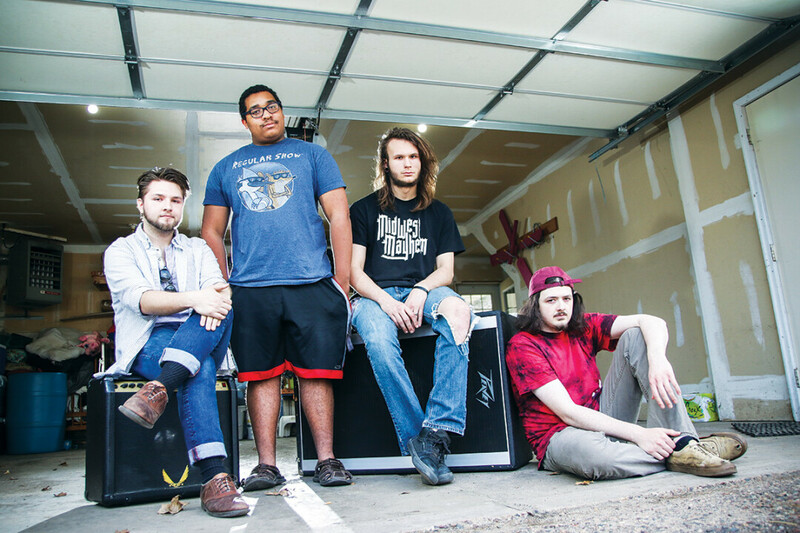 While the core members – Alex Hoff, Clay Lawton, and Zavier Balow – have been making music together for the better part of the last four years in one way or another, their traction from Rockonsin plus the addition of a like-minded drummer (Allen) have pushed them into a new light. But it started very simply. And fun is a key ingredient for this band, it seems. Each member – like all the greats – have stage names: Hoff goes by Gustav Hoffmeister, Allen is Spanky, Balow is Neanderthal, and you can call Lawton Clay Lespool. Also in the name of fun, Spanky and Neanderthal have a hip hop project on the side. High energy shows and long private jam sessions are their bread and butter. Summerfest aside, they said one of their favorite shows – one of the most fun by far – was playing Ughana Rock at Memorial High School this past spring. The annual fundraiser concert for Potter’s Village in Ghana was an ecstatic crowd of their high school peers, and things got a little crazy. Having a slew of great shows under their collective belt, last fall The Third Ward decided it was time to record something official. They worked up the money, got some recording assists from Nick Poss and Mike Noyce from the Eau Claire Music School, and soon enough the band was knocking out song after song out at Toy Car Studios with engineer Justin Green. The resulting collection is their debut album, which dropped in March, called Red & Blue. The songs were all recorded live, and that energy is there. Many of the lyrics are politically charged with antigovernment, anti-capitalist sentiments, especially on cuts like the title track, “Economic Overdrive,” and the epic closer “Uncle Sam” – while the instrumentation congeals into something truly bigger than the sum of its parts. Now that the band is graduating from their respective schools, they’ve come to another turning point. With Lawton going away to college, the band will have to replace him, but they don’t plan on slowing down their pace whatsoever. Once they secure a new bassist, they plan to do some touring next year, write tons more songs, and go at this thing harder than ever. 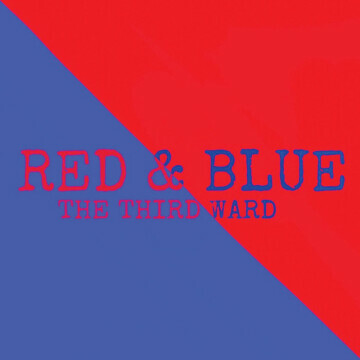 You can find The Third Ward’s debut Red & Blue at The Local Store, or stream it online. To see them live, their next show is June 2 at The Venue in Eau Claire with touring bands Devil In The Details and Wolfskin, alongside openers Misadventures and Nomad. The show is all ages and costs $5 ($3 with a student ID).